This guest post is written by Katie Matlack of Software Advice. This article is based on the interviews conducted with various respondents (four ophthalmologists and a practice manager) within one specialty, Ophthalmology, who had strong opinions on what characteristics were the most important to look for in an Ophthalmology EMR Software solution. Here are the major takeaways. If your EMR platform can connect directly to your testing equipment, your life will be made a lot easier. Dr. Byron Tabbut of Wheaton Eye Clinic mentioned that having all information available from one source--your EMR--can save you from “having to hunting and pecking all over” for data from various different places. 4) Think long-term sustainability if you want to avoid having to pay for a new solution again soon. 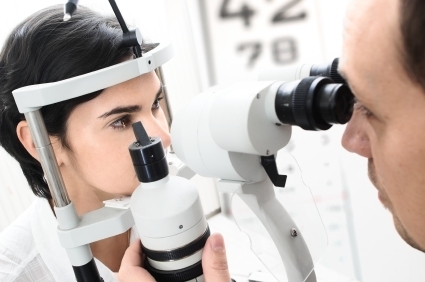 This article discusses what ophthalmologists on the lookout for the right ophthalmology EMR solution should keep in mind. You can view the original post this story is based on here. Katie writes for the Software Advice blog about various topics related to medical software, with particular interest in EMRs and patient-centered health information technology. She is a graduate of Yale University, where she majored in American Studies.